Handel's Messiah has been described as 'one of man's grandest musical achievements'. It is traditionally performed worldwide either during the Christmas or Easter period, with its Hallelujah Chorus being one of the more recognisable passages. Over the 273 years from its composition, performances of Messiah progressively strayed further from Handel's musical world, attempting to make choirs and orchestras uncharacteristically large, often with 'new' parts created for extra instruments. 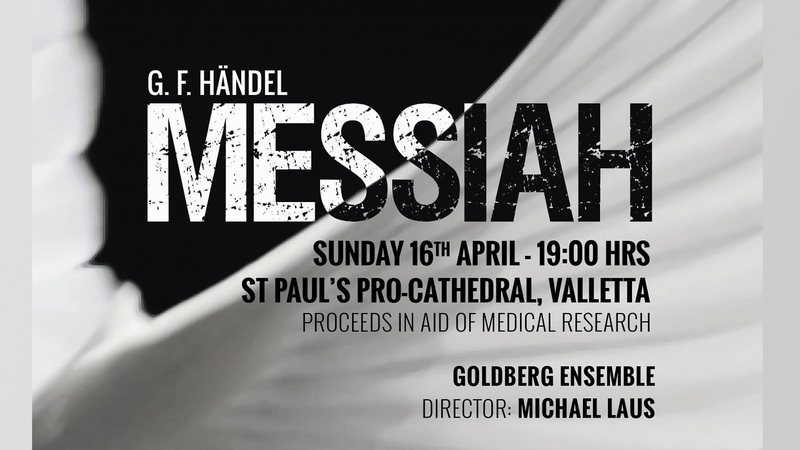 The Messiah will be performed by the Goldberg Ensemble as Handel initially intended it - for single strings and a small group of singers. 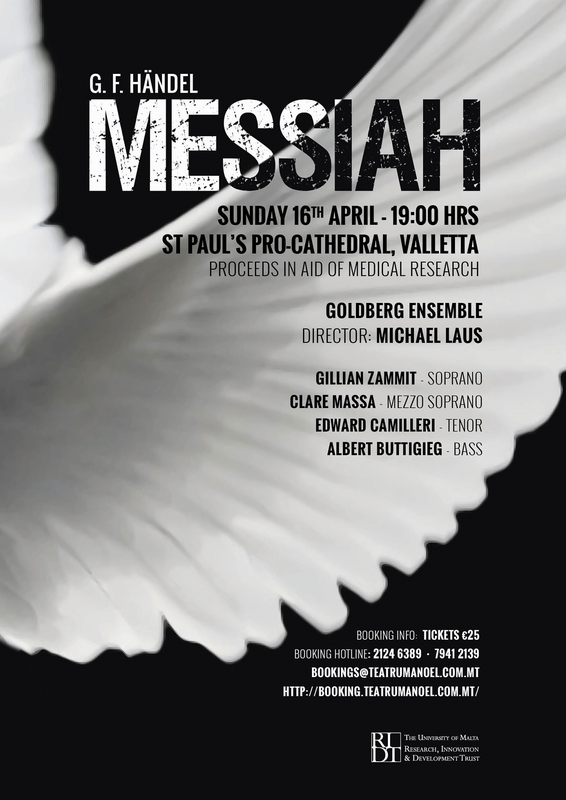 The performance of Handel's Messiah by the Goldberg Ensemble will be under the direction of Michael Laus, with the participation of established Maltese soloists The performance of the Messiah will take place on Easter Sunday, 16 April at St Paul's Anglican Pro-Cathedral, Valletta, at 7.00pm.